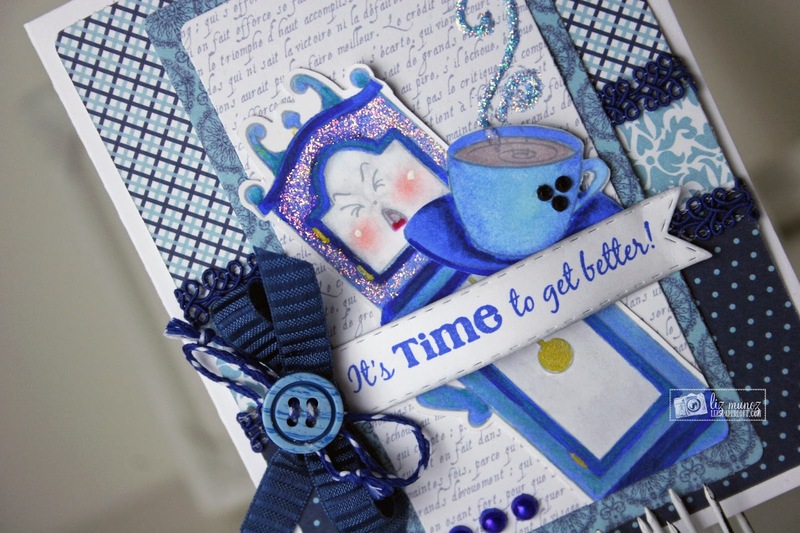 Liz's Paper Loft: Trendspotting ~ It's Time To Get Better! 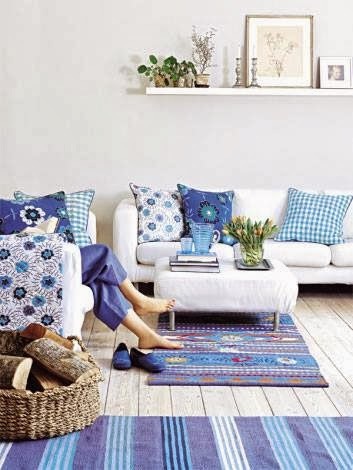 the "trend" is use of blues ~ and of various bold, yet traditional patterns and natural fibers. Even though this card is monochromatic it still has a lot of depth and texture. I didn't have the color pearls I wanted so I colored white ones with my copic marker...love my copics!!! 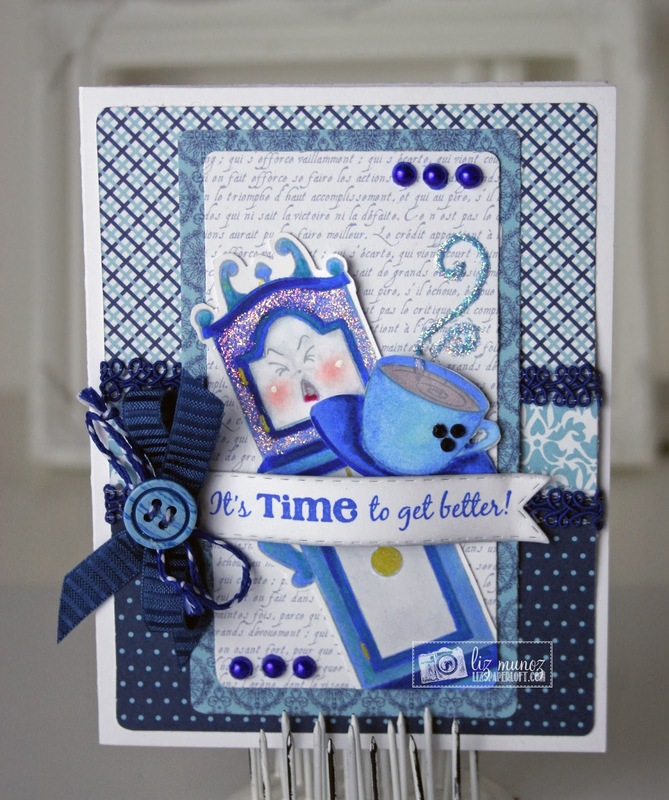 PKSC-04 April 2012 Release for the "grandfather clock", cup, and sentiment. Just a reminder that February "Hot Deals" at Peachy Keen are almost over! 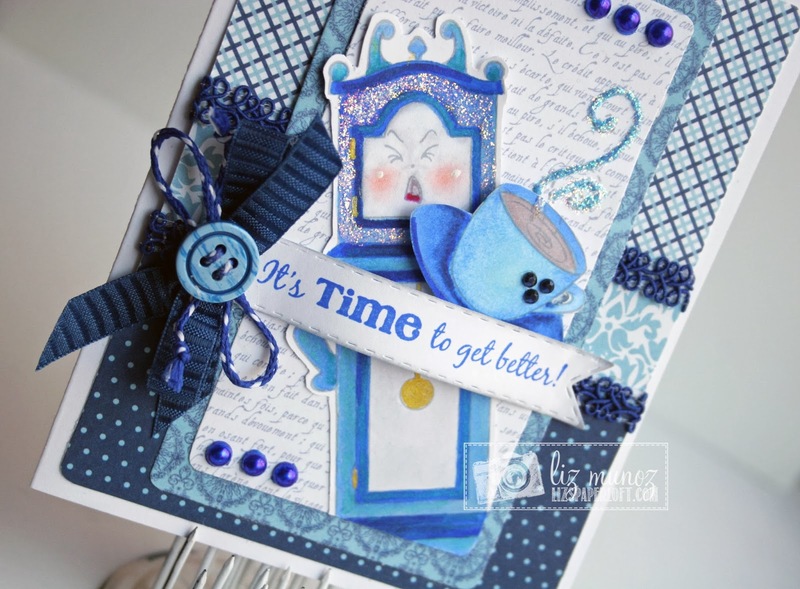 Beautiful card, love the face on the grandfather clock. Great design and colors. Thank you. This is awesome!!!!! What a GREAT project! Liz ~ Oh now this is GORGEOUS and FUN! LOVE the monochromatic and YES it totally has depth with all the textures and details!!! As always jaw dropping!! !